Raelene is the Director of Okey Dokey Childhood Psychology in Melbourne, Australia. She is a registered Psychologist and holds a Masters Degree in Educational and Developmental Psychology. Raelene has extensive experience working with children with developmental disabilities and their families, as well as typically developing children, providing educational, social/emotional and behavioural support. Raelene has worked extensively in early childhood intervention settings, schools and private practice, and works with preschools and schools to provide individual student and staff support, as well as running social skills groups for students. 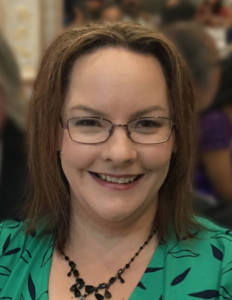 She regularly presents workshops for parents and professionals on topics related to supporting children with special needs in the classroom and in other settings, and has recently presented at an International Autism Conference in the UK, as well as conferences in the US and throughout Australia.